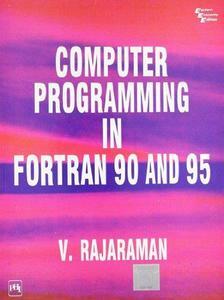 his book introduces Computer Programming to a beginner, using Fortran 90 and its recent extension Fortran 95. While Fortran 77 has been used for many years and is currently very popular, computer scientists have been seriously concerned about good programming practice to promote development of reliable programs. Thus, the International Standards Organization set up a group to 'modernise' Fortran and introduce new features which have made languages such as Pascal and C popular. The committee took over a decade to come up with the new standard, Fortran 90. 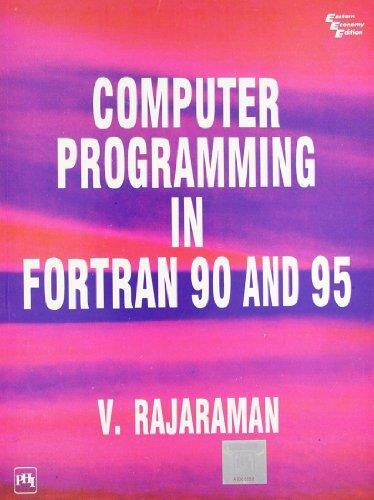 Fortran 90 has introduced many new features in Fortran, such as recursion, pointers, user-defined data types etc., which were hitherto available only in languages such as Pascal and C. Fortran 90 is not an evolutionary change of Fortran 77 but is drastically different. Though Fortran 77 programs can be run using a Fortran 90 compiler, Fortran 90 is so different that the author felt it was not a good idea to just revise Fortran 77 and introduce Fortran 90 in some places in the book. Thus this book is entirely new and introduces Fortran 90 from basics. In 1996 some small extensions were made to Fortran 90 and has called Fortran 95. This book also discusses these features. As all new programs in Fortran will henceforth be written in Fortran 90, it is essential for students to learn this language.The methodology of presentation, however, closely follows the one used by the author in his popular book on Fortran 77.